Alain Pascal’s wines are as strong and powerful as he is. This former boxer and hunter with hands like paws farms sixteen hectares of vineyards with the help of his brother in Guy in the hillsides around La Cadiere d’Azur. The vineyards are composed of clay and limestone and impart an earthy, mineral element to the wines. 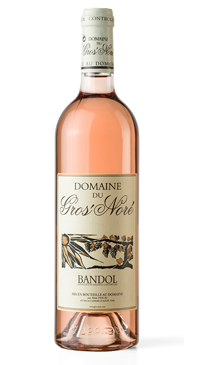 The wines produced at Domaine du Gros Noré are some of the best produced in Bandol, the appellation regarded as the “grand cru” of Provence. This rose from 50% Mourvèdre, 25% Cinsault, 25% Grenache is obtained by direct pressing and is fermented in stainless steel followed by malolactic fermentation that provides a round creamy texture. It is fruit forward, dry, powerful and complex.